You’ve been waiting for this moment for months. Your company has been sending you to the same hotel brand for months. With each trip, you see your hotel reward points grow. You start to notice that the front desk is actually happy to see you. There is this sense of respect. They even start offering you free gifts like water or more points. Now they even offer you one more hotel perk. After countless road trips it’s finally happening. You’re now eligible to join that elite concierge level! You’ve always wondered what goes on behind those closed doors. Was there some sort of party where big wigs were secretly plotting against the world? Are cigars and alcoholic beverages being served in a smoked filled room? Is it a suit and tie type event ever time you entered? As a hotel concierge veteran, let me be the first to tell you that it’s not that fancy rookie! Let me open the doors of concierge lounges and make sure you know how to properly utilize this great perk. With this knowledge you will never have to downgrade your health while traveling. I want you to get in the correct mindset from the start. Even though you have this elite privilege, you should still try to get in extra activity. If the concierge lounge is not on your floor, you should not be taking the elevator to get there. You should take the stairs. Each and every time you go to the lounge, keep this habit up. As a matter of fact, you should be taking the steps even when coming and going from your hotel room. Now I understand if your hotel has 20+ floors, you may not be in the best shape to do this consistently. That’s ok! You still get a high five from me for effort if you just try! Your brain could always use a good workout while traveling. Most concierge lounges offer a daily newspaper in the mornings. Pick up a paper and try to read it during your day. It can be while waiting at the airport, during your lunch break, or in between meetings. Keep up with what’s going on in the world outside of what your smart phone tells you. It’s a great way to embrace the local environment and understand how things run in that town or country. In a perfect world you want a 1 to 2 ratio of protein to carbs after working out with no fat. This is the road baby! You do what you can. If skim milk is not an option, just go for the lowest fat milk option. Also you should be going for unflavored milk instead of the chocolate/strawberry milk options. The reason is due to the fact that unsweetened milk’s protein/carb ratio is already high, there’s no need to make it a 1 to 4 ratio with all the extra sugar. Go for the Greek yogurt if possible. Greek yogurt has a higher concentration of protein compared to plain yogurt. Look at the nutrition and try to achieve that 1 to 2 protein/carb ratio. Unlike milk, if you have Greek yogurt, it’s ok to go with the flavored options. This is a post workout meal so the carbs from fruit/sugar is ok.
A great option when you can’t find a protein and carb source is to eat 1-2 pieces of fruit from the lounge. Scientists and bodybuilders use to believe that you only had a post workout window of less than 45 minutes to get protein/carbs to repair your muscles after working out. When working out, they thought you had to fuel your body ASAP with the proper nutrition needed for growth and body repairs your muscles for. If you missed that window, it was believed that you just wasted your workout. Research has now proven that that window is much larger. Your window is not 45 minutes but more like 24 hours. Supplemental companies still push for the 45 minutes or shorter window because they’re trying to get your money. You have to remember that a lot of those supplements are designed for elite professional athletes. If you were pushing yourself to the limit, then it makes sense to get the fuel in your body ASAP. Most of us on the road are just trying to look better. We’re not trying to be elite athletes like Michael Phelps! That’s why a simple piece of fruit is a great post snack option. Bananas, apples, oranges, etc. can be found in the lounge. Snack on this until you can get to your next decent sized healthy meal. If you’re truly dedicated, you could always bring a couple scoops of whey protein with you on the road. Or buy some from a local supplement store. All you need is about 1 scoop of whey protein with any of the above concierge options. I would say that you could even mix the lounge’s fruit juices with whey as well to get that 1 to 2 protein carb ratio. For a post workout meal, it’s acceptable while traveling. Can you guess which one’s you should stay clear of? Let’s make this a healthy start to your day so you should be eating the first five choices. When eating you can go High Protein/High Carb or High Protein/High Fat. Eat only the egg whites from the hardboiled eggs with one-two whole eggs. 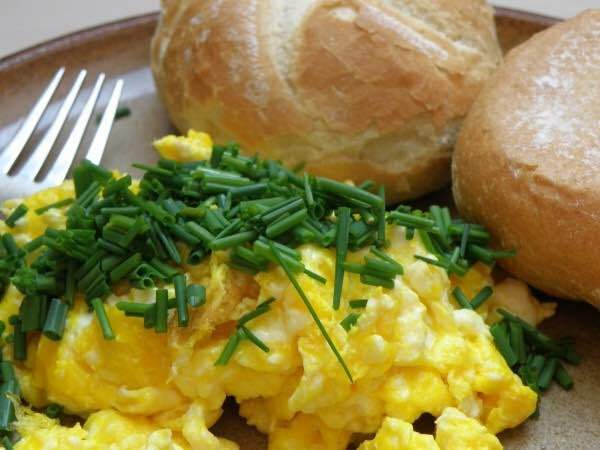 You could also mix your hard-boiled egg whites with about a ½ cup of the scrambled eggs. Combine with some plain oatmeal using only fruit to sweeten it. Only eat a few strips of bacon. Most hotel’s bacons are nothing but fat with a microscopic amount of protein. Regardless of which way you choice, you should not be eating anything with sugar. No cereals, pastries or juice during this period. Coffee and tea is fine as long as you skip the sugar. Again, this depends on whether your following a high protein high carb plan or high protein high fat plan. If emphasizing fat as your energy source, go ahead and get a few slices of cheese. Always reach for some free veggies when available! You most likely will see some type of raw veggie station. Just go easy on the dip or just avoid the dip. Similar with salads. Eat as much green as possible while avoiding excess oils and fats. This can be tricky with hors d’oeuvres. If you see whole pieces of meat with a minimal amount of oils/sauce, go for it. If the protein source is covered in oils, sauce and/or fried dough, avoid it. If you’re on a long road trip, I say save one day for letting loose and enjoy just one simple free drink. If you’re entertaining clients and are constantly around alcoholic beverages the entire trip, there’s no need to keep adding wasted calories. One glass of wine or one shot of spirit isn’t going to kill you. But too often those drinks are combined with juices, sodas and bad food. That’s when the calories start piling up. Just avoid it! Nothing good will come out of you visiting when these temptations are around. I’ve been “that guy” with 10 cookies wrapped in napkins on MANY occasions! Previous Previous post: Finally Finish Your Fat Loss Goals With Just Keep Going!